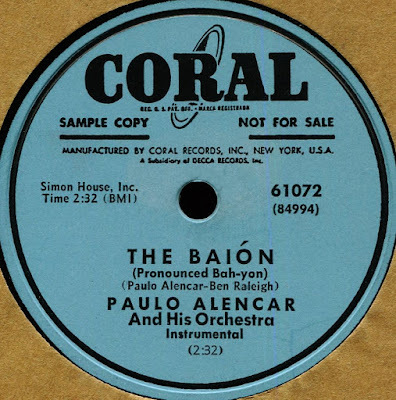 Baion - I was trying to remember the name of that rhythm when you mentioned Hambone. Did you identify it back when you posted the Bacharach tunes? 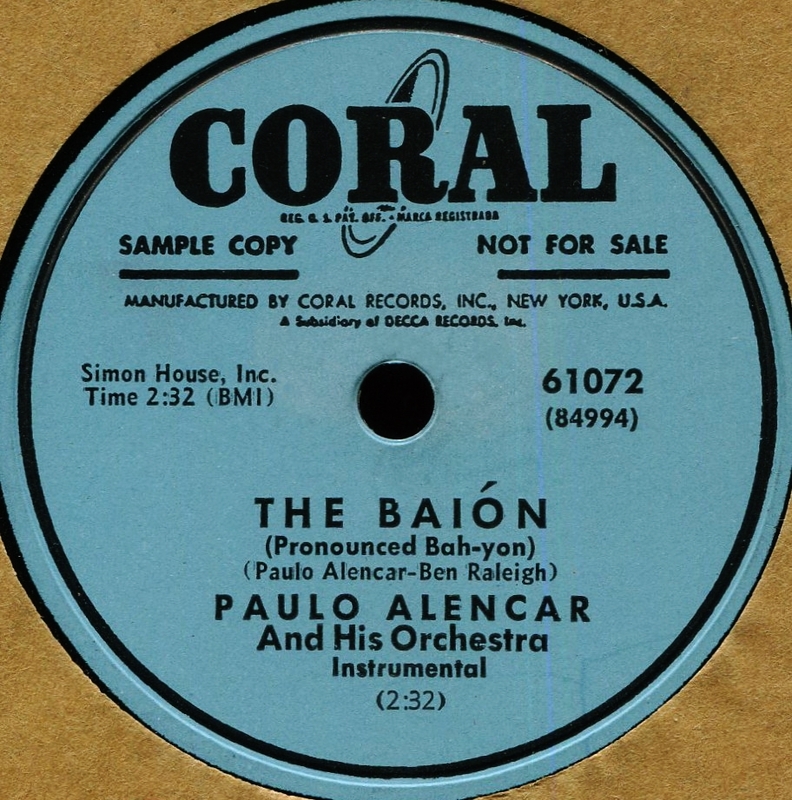 You may have thought of Les Brown because he was recording for Coral at about the same time as this Paulo Alencar single. I think that's exactly what happened--the Coral/Les Brown connection. No, I'd remembered there was a certain rhythm (this one) that Burt was known for using, but I couldn't recall the name. Except that it started with a b! Yes, I had exactly the same reaction. I'm glad you remembered the name! Hambone, WITH Bacon . . .??? NO, can't be . . Sorry, I shouldn't be reading this stuff in low light before supper . . .
One of "The Hambone Kids" on your '52 Saunders side (no, not of Bacon...), "Delecta Clark" is none other than Dee "Raindrops" Clark - it's his very first rekkid! Cool! 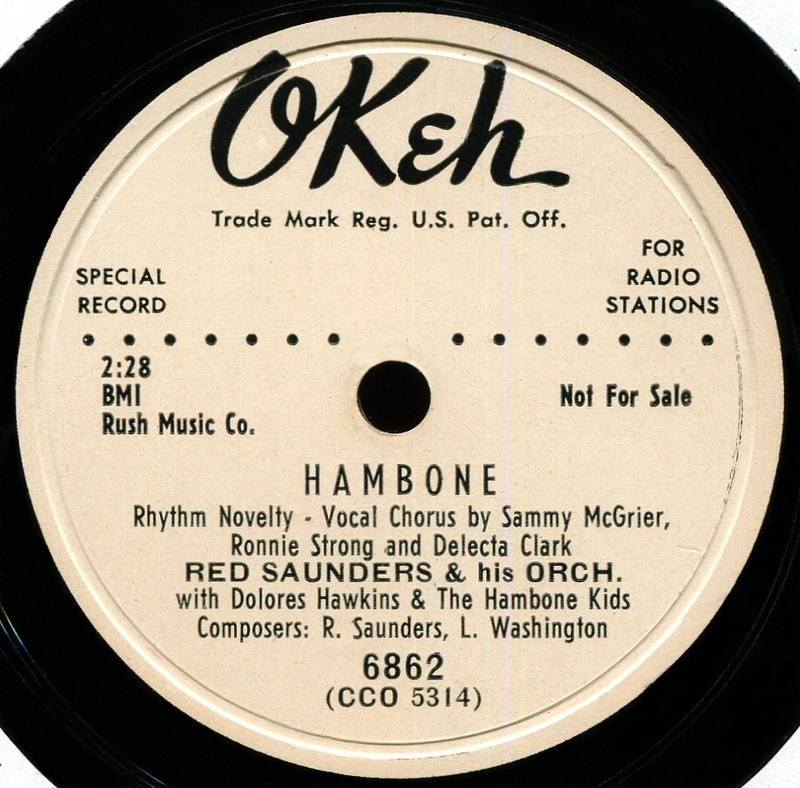 The label credits are so weirdly laid out, I just stuck to the main ones--Saunders, Hawkins, and the "Hambone Kids." I knew there was someone fairly famous on this, but couldn't remember who. Thanks!